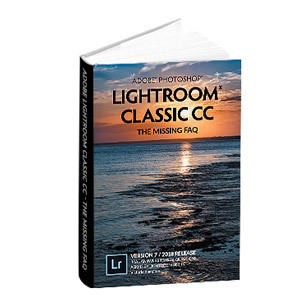 What's New in this Lightroom Release > Lightroom Classic Updates > What’s new in Lightroom 5.6? It’s only 6 weeks after the release of Lightroom 5.5, and Lightroom 5.6 is already on our doorsteps! That would be primarily due to the recent release of an expensive but popular camera… so just a few updates this time. Here are the update download links for perpetual licences: Windows – Mac Creative Cloud subscribers update via the Creative Cloud app. The profile for the Canon EF 16-35mm f/4L IS USM lens isn’t currently picked up automatically. You can fix it by selecting a photo shot using that lens, selecting the profile from the pop-ups in the Lens Correction panel, and then selecting Save New Lens Profile Defaults from the Setup pop-up menu. No LR tethering for 810 then? Not yet, sorry Alex. 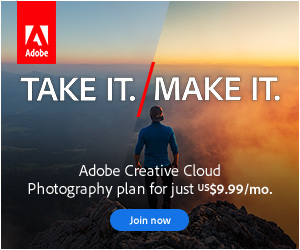 According to Nikon’s website, Nikon hasn’t released the SDK for the D810 tethering yet, so Adobe’s hands are tied. Are they ever going to release mobile for the android platform? Yep, it’s just not done yet. It’s a pretty complex app to code in a different language. In the recent ACR updates adobe introduced the ability to erase areas from the graduated filter mask eg for mountains I was disappointed to not see that feature in this the version of LR after they put this in ACR. Any idea when this amazing killer ACR feature will propagate through to LR? That should be in LR6. They don’t officially add new features into LR dot releases after the x.1 release. Am I missing something or has the ‘hold ctrl while adjusting black/white slider’ functionality to set a black or white point been removed? Hmm, it’s the ‘alt’ key obviously and still works as before – has this changed or am I going mad? This one issue started a whole other thing for my use of 5.6 on one particular machine as the screen updates when making exposure changes or using the spot removal or adjustment brush are not happening. They update fine on my second ‘loupe’ monitor but not on my primary screen. Maybe it’s a graphics driver problem on that one system? Always been the Alt key, sorry Roly! Graphics driver would be my first thought for your display updating too.